Cataracts  are the world’s most common cause of blindness. There is no treatment other than surgery and those who can’t get it just remain either partially or completely blind. While the surgery is relatively simple (it doesn’t even need total anesthesia) it needs highly trained surgeons and state of the art facilities so many patients go untreated because of lack of access to the right professionals or institutions. Surgery works and it’s very safe, but not everybody wants to go into the operating room or to pay for it which is why a good non-surgical treatment for cataracts would very welcome by patients, doctors, hospitals and insurance companies. See also: What is cataract surgery? Is it painful? As in most health issues, prevention is always the best way to go. 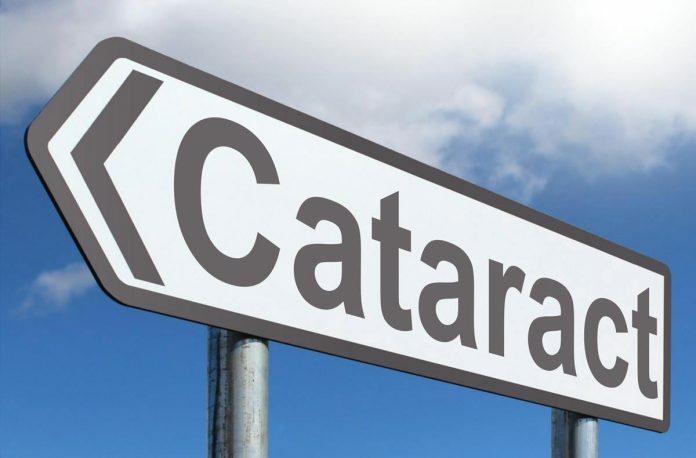 Cataracts come in several varieties and can happen at any time in life but the most common kinds occur to older people and, while the full causes are yet unknown, we do know they happen because of oxidative stress (which comes down to not eating the proper nutrients you need). Prevention isn’t that hard. It’s about cutting down on tobacco, eating correctly (lots of fruits, vegetables, reasonable amounts of coffee will give you all the antioxidants you will need so this never happens to you), corticosteroid use. Then there are other health conditions. If you are sick with diabetes, hypertension, kidney disease or just take in too much ultraviolet light you are at a higher risk of developing cataracts. In such cases, it’s important to take care of the underlying condition (like diabetes) so that a cataract doesn’t happen just because of lack of care or nutrients. But let’s say your eye’s lens has already gone opaque. You’re already suffering from cataracts so what can you try before going under the knife? We go back to nutrition. Several Russian studies have found that Carnosine  is a nutrient that can both prevent and treat cataracts. It’s because of its antioxidative power. Carnosine is already being produced by your own body but if you need some extra for your eyes you can use it as eye drops. These drops are known to help with several eye diseases such as intraocular pressure, glaucoma, cataracts and other corneal conditions. The most impressive thing about carnosine eye drops is that in some cases they can indeed get rid of cataracts. It works most of the time by dissolving the cataract already in the eye’s lens. It’s cheap, painless, so it’s a good option for you to explore with your eye doctor before having surgery. Then there are the NAC eye drops. NAC or N-Acetylcarnosine is a chemical compound very closely related to Carnosine. These drops have been getting a lot of attention within the ophthalmologic community as an alternative treatment that can allow patients to be cured of cataracts without surgery. This research originates in Russia (Carnosine itself was discovered there, 118 years ago) and the world’s scientific community has been keeping track in order to make sure it will be useful for those who are going blind because of cataracts. The National Institute for Health performed a study  about these drops in order to find out if they could really help to cure cataracts and blindness. You can read their findings in the paper’s abstract. They’re a bit disappointing. They found no reason to believe that NAC drops can really dissolve a cataract once it’s present so Carnine drops remain a better option for treatment. As things stand now, there is just not enough science behind NAC drops. Studies are being done and the evidence will arrive sooner or later. You should always keep in mind that prevention is always the best option and it’s not that hard. All you need to do is to eat well, not to abuse tobacco and alcohol, sleep properly. Just living healthily will go a long way in preventing not just cataracts but also most other aging diseases. And if it should happen that you do develop cataracts, there are things to try before surgery.